I love beautiful jewelry, almost as much as photography. Over the years, we’ve seen numerous companies try to combine the two and the results have been less than spectacular. Either the pieces were too “homemade” looking, or the material used was nothing more than a base metal, which began to wear within the first week. I had pretty much given up on ever finding exactly what I was looking for, until we went to Vegas. Belt Buckles and much more! 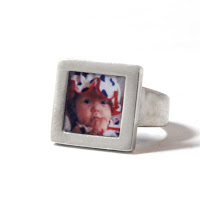 Each piece is custom and can be designed with any number of images. We should be receiving our samples within the next couple of weeks, so make sure to take a look the next time you’re in the studio. You’re gonna love these!